Finelli has been the leader in providing the Northeast region with custom, handmade iron and wood pieces. Our company has a rich tradition with our roots tracing deep into European craftsmanship. Michael Finelli, our founder, was born in 1927 in Roseto Valfortore, Italy. He apprenticed in the local blacksmith shop from the age of 7, forging, crafting, and repairing tools for farmers and local townsmen. Michael moved to America at the age of 18 and upon arrival met his father for the first time. He began work in a steel mill in Cleveland, Ohio. A few years later Michael opened up his own blacksmith shop in Bedford, Ohio. What started out as a single man with a two-car-garage is now a 20,000 sq. 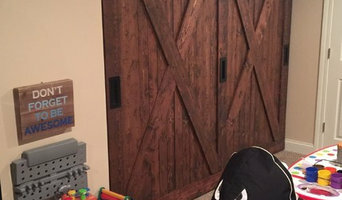 ft. iron and wood shop with 15 employees located in Solon, Ohio. In 1987 Michael Finelli passed his business down to his two sons, who own and operate the business and continue the Finelli Family Legacy. 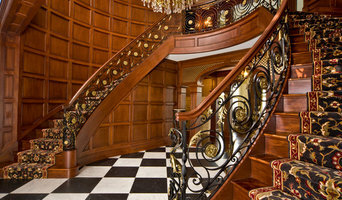 As a company, we have been a leader in architectural ironwork and woodwork since 1961 and have gained a reputation for master craftsmanship, skilled workmen, attention to detail, and solid integrity. 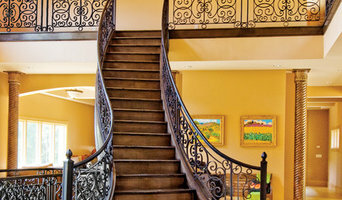 Whether your home requires a grand staircase railing, driveway gate, balcony railing or garden gate, you will be glad you chose Finelli Architectural Iron & Stairs for your home. We welcome you to visit our showroom and manufacturing facility located at 30815 Solon Road in Solon, Ohio. Custom hand forged ironwork, blacksmithing and restoration. Based in Ohio. Castle Railings is a full service design/manufacturer of laser cut metal panels and accessories. 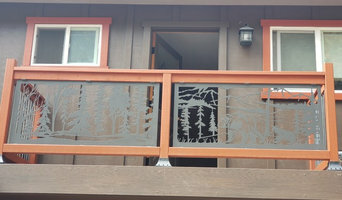 Our laser cut panels can be used in interior or exterior railings, fences, privacy screens or just as rustic wall art! We also design custom panels for that completely unique application! From the raw material to the beautiful powder coated end product, our business follows strict quality standards that guarantee a maintenance free product for years to come! We specialize in decorative and industrialized metal home or business decor and furniture. Please visit our showroom at 78th Street Studios in Cleveland, OH to see our products or contact us to develop your own custom piece. The Superior Alloy Steel Co.
Superior Alloy Steel manufactures and carries in stock steel alloy bars, steel plates, as well as tooling machines for repair and maintenance. We also can fabricate finished products to your specifications and can work with you to design your finished products to your specifications and metal tolerance needs. Premier manufacturer of Stud Welding equipment and welding studs of all varieties. An ornamental ironworker fabricates bulk iron into the types of structures that a particular home calls for, then installs them onsite. Some of these pieces are mass produced, others custom crafted. Many ornamental ironworkers also have the design skills to fashion unique decorative components. Ironworkers must be trained in safety to create elements such as railings and balconies that both satisfy a home’s aesthetic needs and meet Parma Heights, OH building codes. Here are some related professionals and vendors to complement the work of ironwork: Fencing & Gate Sales & Construction, Decks, Patios & Outdoor Enclosures, Siding & Exteriors. Find an ironworker on Houzz. 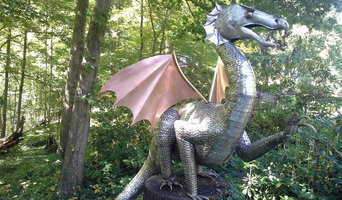 Narrow your search in the Professionals section of the website to Parma Heights, OH ironwork. You can also look through Parma Heights, OH photos to find examples of ironwork that you like, then contact the ironworker who fabricated them.